Ann and I have just returned from the end of term assembly at Selkirk High School. 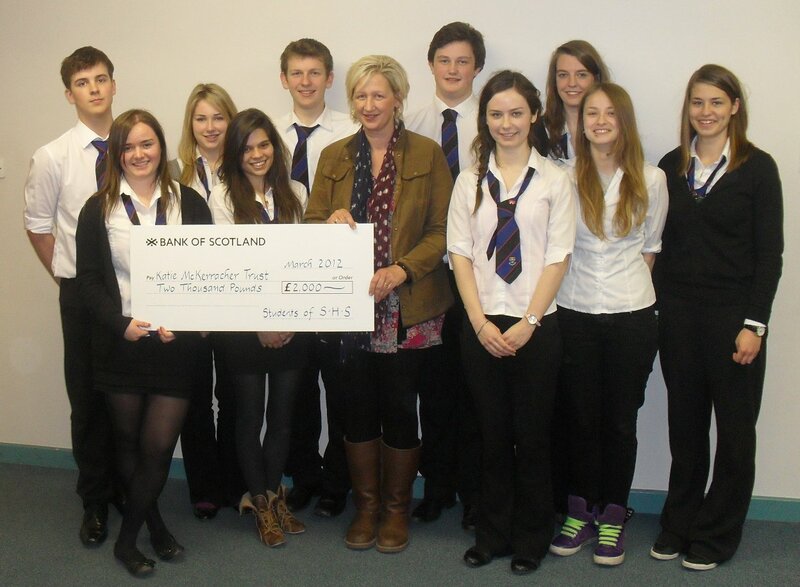 We were presented with a £2,000 cheque by the sixth year charity committee. They have been busy all year with events like wear-what-you-want days and Christmas bazaar, culminating in a 10-mile sponsored walk. We would like to say a big ‘thankyou’ to Fergus, the sixth years and everyone who supported them.